» TODAY ON FRANKLY SPEAKING – YOUR ENCOUNTERS. Our perspective on and about life most times influence our decisions, choices, actions and results in life. How you see the world, the way you see your life determines the successes or otherwise you’re likely to accomplish through your journey. What kind of view should one hold as far as life is concerned? How should one see the world in general and he or her world? You see, many of us see this life the way it’s been painted to us by the people around us. Many hold views based on media exposure; what you saw on TV, heard on the radio, read on the internet and so on. Others hold strong views about life based on their faith and religious convictions. And very many people hold on to views about life based on their immediate environment and personal experiences. On the contrary, when something interesting, exciting, great and rewarding happens, you hear statements like ‘life is beautiful’ hmmm. There are views, philosophies, concepts and ideologies conceived and propagated by many about what this life is about for many centuries. Many conclusions are marked by the inability of mankind to fully understand life and its complexities. Why disasters, happen, why good things happen for bad people and bad things happen to good people, sicknesses, diseases, wars, discrimination, wickedness, greed, confusion, inventions, discoveries, innovations, creativity, knowledge, leadership, institutions, principles and philosophies, relationships, procreation and continuity of life. We keep pondering and wondering not so sure we would ever fully comprehend this life and its ways, so we play along trusting and believing it would deliver for us, the very best it holds. Hope and positive expectations remain the anchors of our journey through this life. This analogy would sit well visualising the world from a broader spectrum; trying to comprehend life from a generic stand point. A different way to look at life is from an individualistic point of view, which I believe is the most powerful stand view and mental positioning in matters of life and living. There is a big difference between ‘what is this life about’ and ‘what is my life about?’ Too many dwell mentally on what the world is about and not what there world is about. By design, no human being has the power or capacity to comprehend and interpret the whole world in its complexities and dynamics. It’s beyond human mental capacity. Only the almighty God understands in details the world he created and runs. You however have the power and ability to comprehend your world and your life. This is made possible by what is called your inner witness, intuition, gut feel to sense your purpose, your place, your assignment and your field. Your natural gifts and talents further affirms the correctness of what you feel in your subconscious about why you’re here and what you should be doing. Knowing your purpose, developing the vision and articulating your mission in duration in the power of your inner witness or gut feel is powerful enough to suggest even how long you would sojourn on earth. If you know your purpose clearly and understand your assignment completely and you’re diligently pursuing that purpose, there is a strong persuasion you would carry in your spirit about your duration in life. You would just know you cannot die because your work is not complete. No matter what goes on around in the world, you would know it cannot tamper with your world because your job is not yet done and your time is not over yet. This is simply because even though the world is all linked and interwoven, your world is independent of the world and because things are happening to others it does not mean it would happen to you. Your destiny, and calling is independent, not in collaboration with anyone. Unfortunately, many people today can’t comprehend their own world, understand their own world; take charge of their own purpose, assignment and mission in this life because they have conformed to the world. The see the world as their world, unfortunately, the world is much too complex for them to function by so they become victims of the world and lose control over their own world and life. When you conform to this world and its ways and standards, you cannot manifest your own life and purpose because it comes through a mind-set. If your mind is set by the world you can’t fulfil your purpose, but if your mind is set by your own world in purpose and mission in life what you begin to experience is not conforming but a transformation. You see, the setting of your mind must be according to your own world in purpose and mission and not the whole world. If you think the world, you can’t succeed, it’s too big for you, it’s beyond what you can comprehend but if you think your own world, you’re designed to comprehend, understand and deliver that one; so you’ll succeed. When you focus on your own life in thought and meditation; visualising your journey and meditating daily on how to navigate and succeed, you will experience a transformation in your experience. How will this be you may ask? You see, all we need to excel and succeed in life is not all within us, many things are around us. Through our journey, the materials we need, we do encounter everyday but because we are not focused on our world but conforming to the world we miss very vital materials. You see, every day you encounter the people you need, the opportunities you need and the lessons you need to excel in your world but you can’t even see or recognise them because you’re conforming to the world, not focusing on your world. Every day you have encounters; encounters are unplanned and unexpected meetings with people and situation you surely need in fulfilling your purpose in order to manifest your glory. 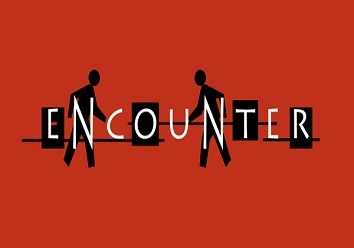 But you can’t recognise these encounters and sadly, you miss them. Transformation is the power and journey to manifestation, you can’t be transformed if you do not renew your mindset with the right information, the right people and experiences required for your glory to burst forth. The world tells you, you need a particular course, a master’s degree abroad, a Ph.D., a professional certification, a job in a particular industry, to marry into a particular family, a rich husband, a political appointment, to travel abroad or move with some people to succeed. In fact, the world tells you it’s your dad, your mum, that rich uncle a relative or best friend that will bring about your manifestation. But maybe what you really need in your world is one of your old lecturer as mentor, an employment in a small one-man business, a childhood friend, a skill and not academic qualifications, a gift, a talent, a particular book, a radio program like this one, your spouse, an old colleague, a neighbour, your poor aunt, your driver, your security guard and one random person you meet on the bus. You see these people may hold the keys to your big breakthrough and opportunity, you don’t know who they know or are related to, so you dismiss them because according to the world, they don’t matter much but if you’re conscious of your world, you will suddenly realise all the people and opportunities you need to manifest great glory are already in your world. Dear friend, your world is not the world, what the world says you need may be different from what you really need. Don’t conform to the world, experience your transformation and manifestation by focusing on your world, meditate on your purpose and journey daily, then you will easily recognise great encounters when they show up. If you conform to the world you will miss it, if you focus on your world you won’t miss it because all you need are in it already, important encounters; don’t miss the next one.